Better hearing and a better quality of life can be yours for many years with the help of the right hearing professional. At Sound Hearing Solutions, we pride ourselves on developing long-term relationships with our patients. Relationships based on unsurpassed personal service that begins the first time you walk through our doors and continues long after your initial appointment. Call us today at 732-451-6690. Dr. Jaffari is a diplomat of the American Board of Otolaryngology- Head and Neck Surgery. This qualifies him to practice and treat all aspects of Ear, Nose and Throat diseases. He completed his residency in Otolaryngology-Head and Neck Surgery at University of Medicine and Dentistry affiliated program in Newark, New Jersey. Dr. Jaffari has been in private practice in Ocean and Monmouth counties since 1976 and has successfully treated thousands of satisfied patients. He is an emeritus member of staff at Monmouth Medical- Southern Campus (previously Kimball Medical Center). 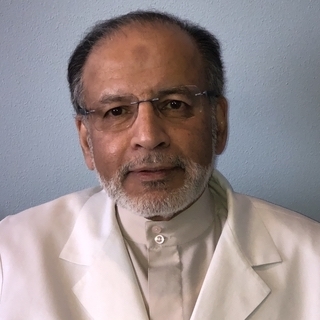 Dr. Jaffari approaches his medical practice in a holistic manner advising his patients of mindfulness meditation and other natural therapies. A specialist with a warm personality and a knack to quickly understand the patients’ needs, he is the kind of person with whom patients have no problem sharing their anxieties or concerns. This greatly helps in finding the right hearing aids even for the most “shy” patients at the same time speeding the process. Licensed by the State of New Jersey as a Hearing Instrument Specialist, Desirae has a broad scope of experience treating hearing loss and tinnitus. 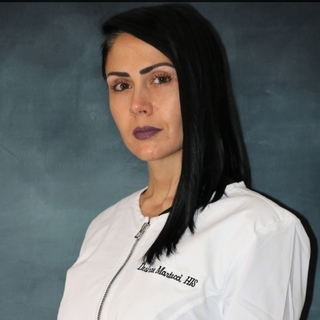 For many years, she worked in the practice as a hearing care coordinator and trained along side the owner, Ali Jaffari, H.I.S. Desirae has a passion for improving the quality of life that comes with hearing. Her focus is educating the patient about their hearing loss and providing the best possible solution to assist in restoring that loss.